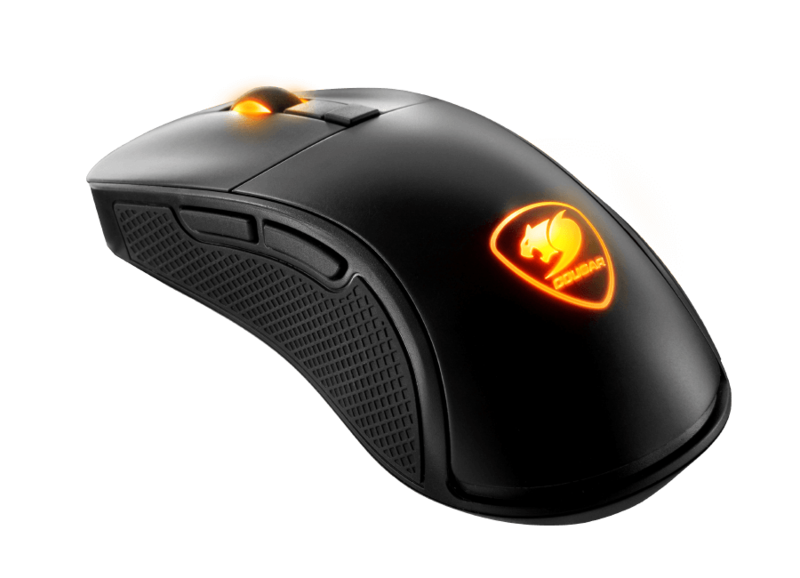 True Pros want mice to perform exactly how they need. 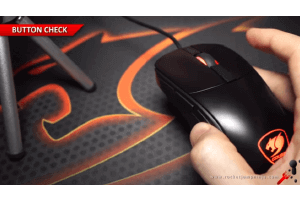 And that usually requires installing software and spending time there before actual gaming. 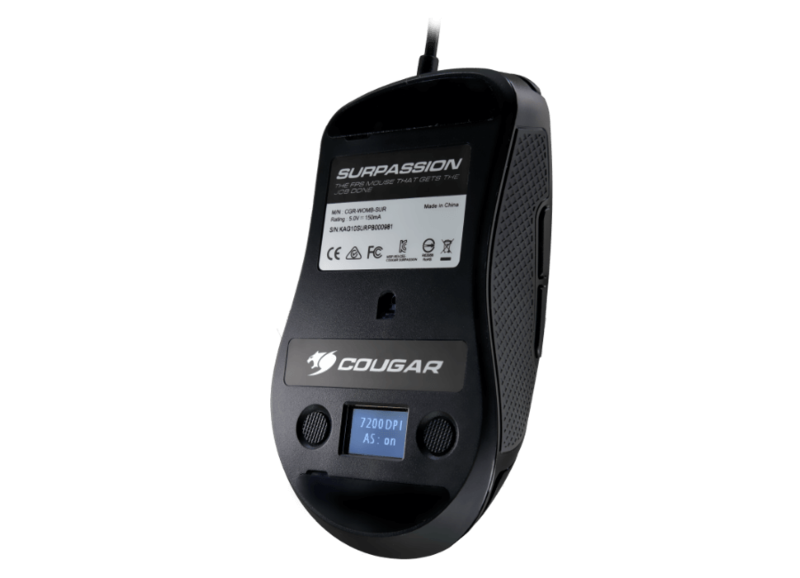 Surpassion comes equipped with a convenient (and lightweight!) 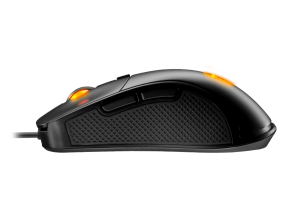 LCD screen with dedicated buttons that allows you to adjust DPI (from 50 to 7200, in 50 DPI steps), Lift-Off Distance, Angle Snapping and Polling Rate. All they key parameters you need to adjust to optimize your performance when gaming! 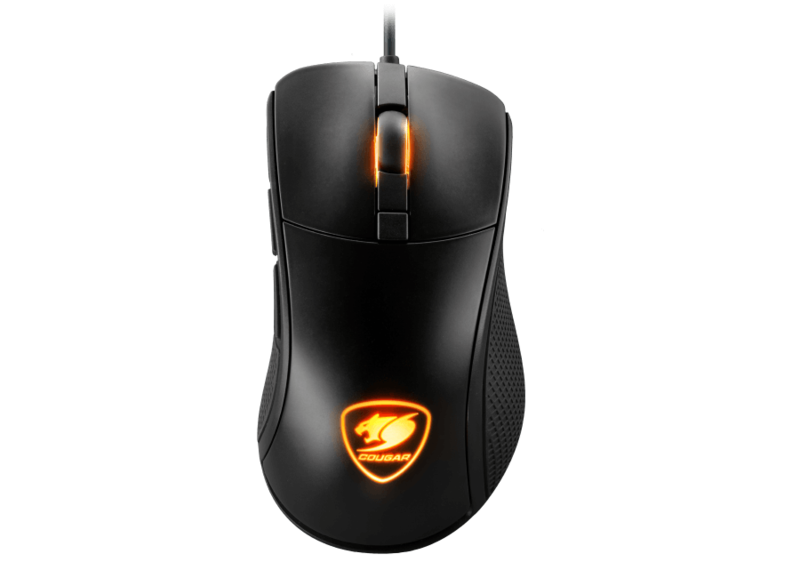 Surpassion allows you to adjust the mouse’s DPI level to the task at hand. 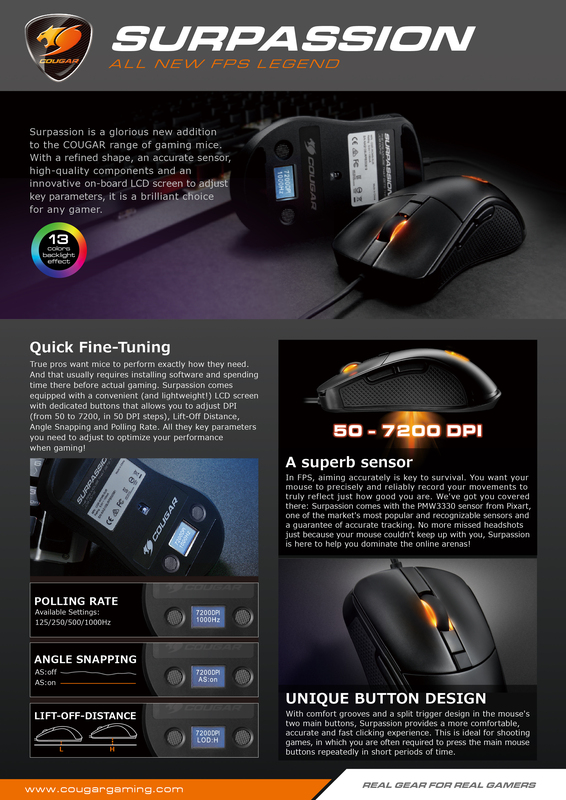 Surpassion’s six preset modes that can be fine-tuned at will in 50 DPI intervals and stored in Surpassion’s on-board memory and adjusted at any time directly from the mouse. Surpassion comes preset with a 1000Hz polling rate, but if you (or your computer) require another level, 125Hz, 250Hz and 500Hz modes are also available directly from the mouse. 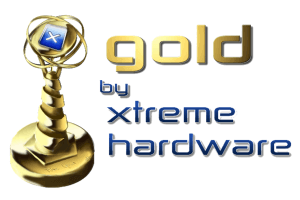 Angle Snapping can make normal computing tasks (work, web browsing, etc.) 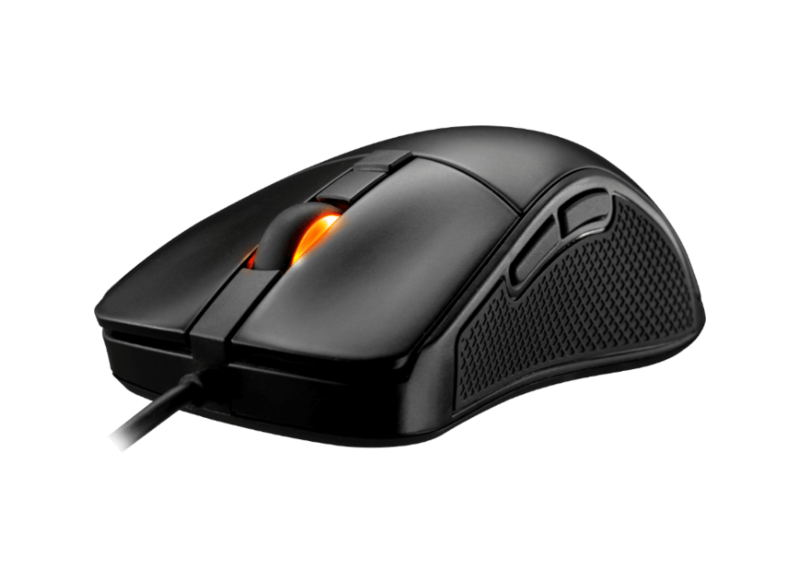 easier, but it messes with your aiming in FPS games. Surpassion allows you to enable or disable it easily according to your needs. 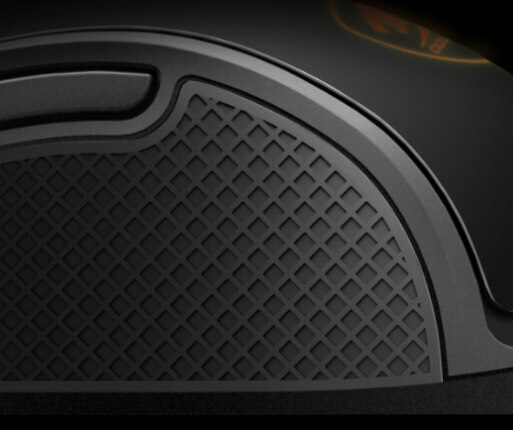 This feature allows you to define the height at which the sensor will stop tracking. 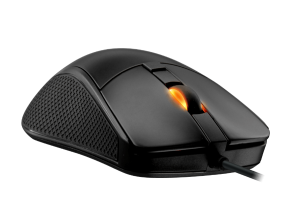 This allows users who use big mouse pads and lift the mouse to re-centre it avoid undesired tracking by setting it on Low, and users who lift the mouse slightly when aiming to set it in High to keep it following their movements. In FPS, aiming accurately is key to survival. You want your mouse to precisely and reliably record your movements to truly reflect just how good you are. 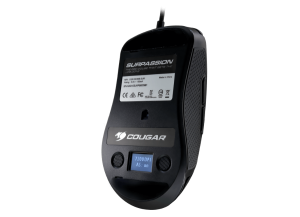 We’ve got you covered there: Surpassion comes with the PMW3330 sensor from Pixart, one of the market’s most popular and recognizable sensors and a guarantee of accurate tracking. 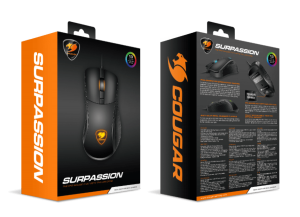 No more missed headshots just because your mouse couldn’t keep up with you, Surpassion is here to help you dominate the online arenas! To optimize your FPS and MOBA gaming experience, Surpassion has been designed to be both comfortable and effective. A palm grip shape that adapts itself well to claw grip when needed, independent pressing areas on the two main buttons reduce the force required to activate the buttons, allowing you to react faster and minimizing accidental presses and finger grooves to make your grip more comfortable work together to make you better at FPS gaming. 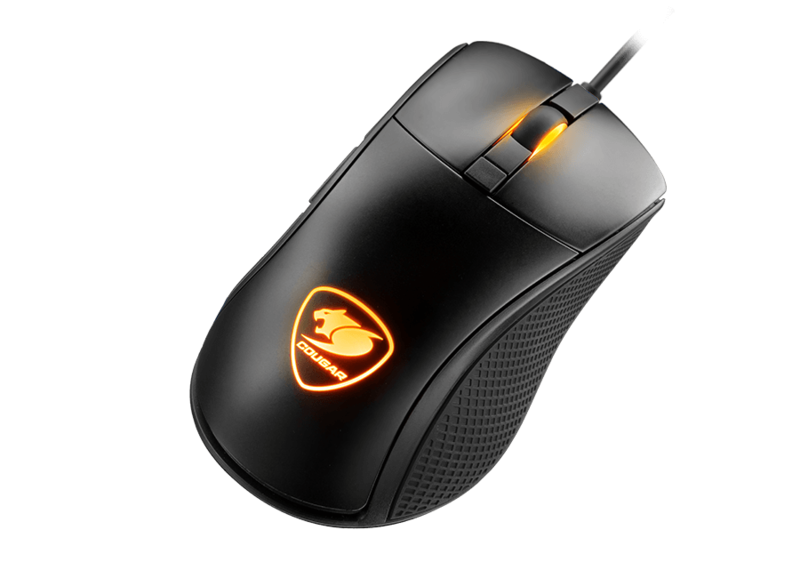 With comfort grooves and a split trigger design in the mouse’s two main buttons, Surpassion provides a more comfortable, accurate and fast clicking experience. 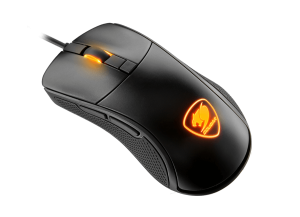 This is ideal for shooting games, in which you are often required to press the main mouse buttons repeatedly in short periods of time. 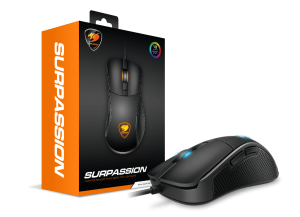 With first-quality OMRON switches that bring you 50 million clicks of guaranteed useful life, Surpassion is going to be your favourite online gaming weapon you for a long, long time. 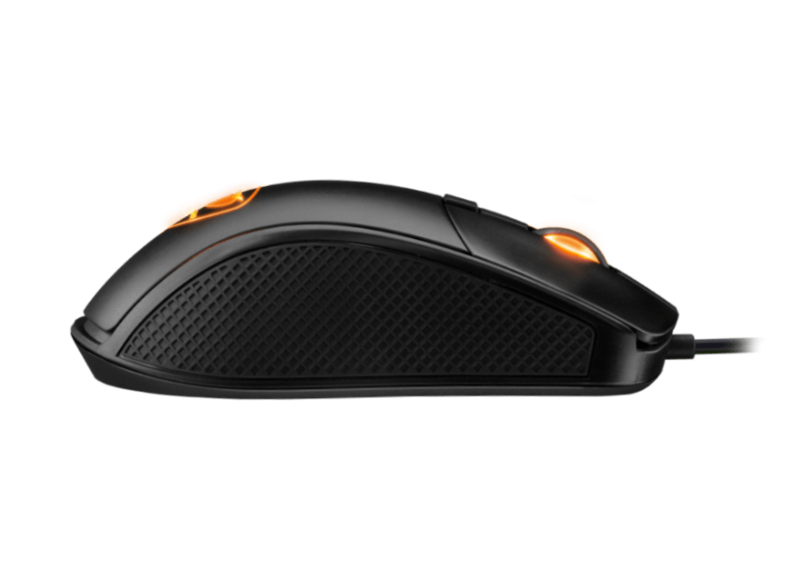 To help you get a solid hold during intensive gaming sessions, Surpassion comes with two real rubber (not coating) flanks that further stabilise your grip. 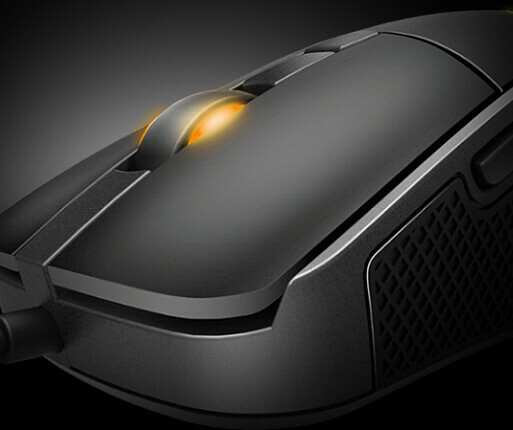 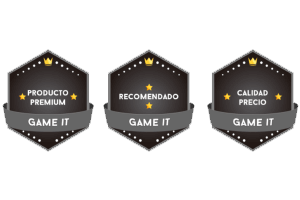 Create the best gaming atmosphere by just clicking a button! 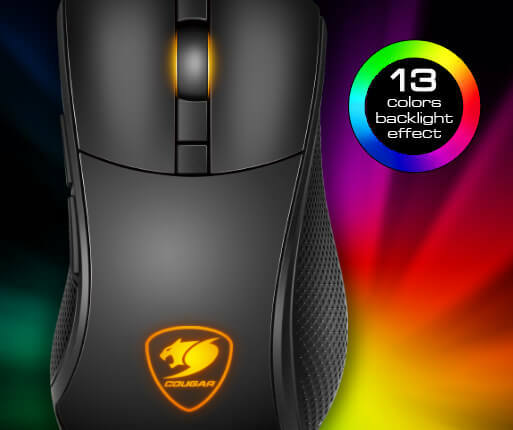 Surpassion allows you to choose one of 13 different backlight modes (11 single-colour, 2 multicolour) simply by clicking the dedicated backlight button.